Below are articles from those who are anti-GMOs (genetically modified organisms). Whether you like it or not, chances are Monsanto contaminated the food you ate today with chemicals and GMOs. 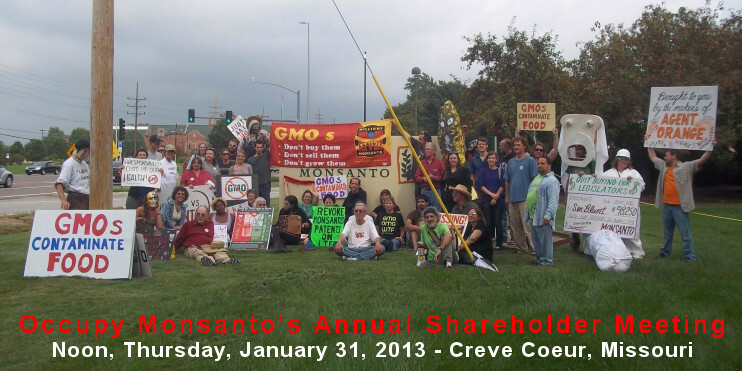 Monsanto controls much of the world’s food supply at the expense of food democracy worldwide. This site is dedicated to empowering citizens of the world to take action against Monsanto & it’s minions like Michael Taylor. 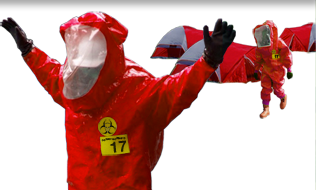 This entry was posted in GMOs on 25 January, 2013 by Peacefull. 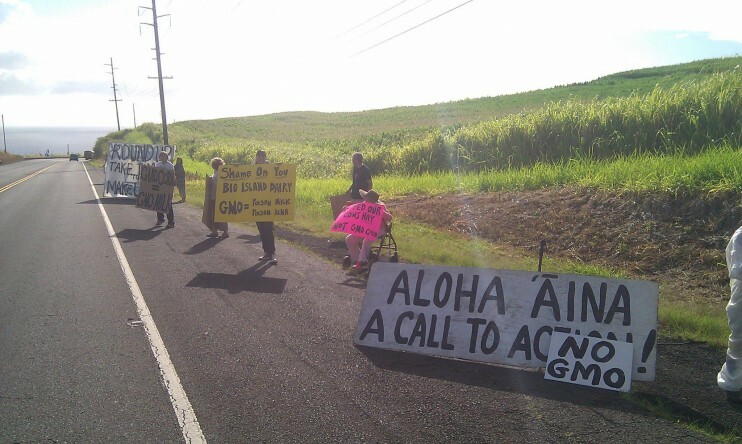 This is an article from those pro GMO’s in Hawaii. Papayas are grown in many tropical countries. But papaya cultivation is being threatened by Papaya Ringspot-Virus, a disease that is sharply lowering yields. Since 1998, genetically modified papayas have been cultivated in Hawaii, USA. They are resistant to a domestic viral disease. In the EU, genetically modified papayas are not approved. In the late 1980s, the University of Hawaii began developing a papaya cultivar resistant to Papaya Ringspot Virus. To do this, certain viral genes encoding capsid proteins were transferred to the papaya genome. These viral capsid proteins elicit something similar to an “immune response” from the papaya plant. These new, genetically modified papaya plants are no longer susceptible to infection, allowing farmers to cultivate the fruit even when the virus is widespread. The first virus resistant papayas were commercially grown in Hawaii in 1999. Transgenic papayas now cover about one thousand hectares, or three quarters of the total Hawaiian papaya crop. Genetically modified papayas are approved for consumption both in the US and in Canada. Several Asian countries are currently developing transgenic papaya varieties resistant to local viral strains. At this point, GM papayas are not approved in the EU. Until now, no application for approval has been submitted. Therefore, importing and marketing genetically modified papayas is not permitted in the EU. I attended a Rotary breakfast this morning which featured a speaker talking about genetically modified organisms, commonly known as GMO’s. For me the fundamental issue is intent behind action. People engaged in the biotech area are in there being paid, of course there is passion and discovery and I am sure it is exciting for Scientists splicing genes and seeing plants fight off the enemy in a pathogen or virus. As a peacemaker I can see the war on nature in this and in truth, the war against ourselves. I feel it is a war we cannot win by fighting. We can only learn to live in harmony with universal laws and through our own cultivation of peace and balance, the answers will naturally drop into our laps. It will happen with intention = balance = true nature. In my view. This morning’s discussion on GMO’s takes my mind to feel for the whole ecosystem and our ignorance of the billions of iterations that make up a highly complex system perfected through natural selection for 4 billion years. I see human existence as 1 minute to midnight and intellectual ability as one second to midnight. However, I have to say in our arrogance we think we know it all, I have included myself in that. We get confident as we accumulate degrees and we get less debate as people do tend to believe the experts and not their gut feeling. I notice a trend where we follow the rules and we see this as justification of what we perceive as right or wrong behaviour. When it comes to nature and tipping points I am not interested in the rules so much as guides for wisdom, I am interested in intent. Intent tells me the prevailing focus of a person/organisations behaviour. If money is the motive and expanding market share then the intent is self interest over best interest. It could be marketed as best interest and emotions manipulated so that it is seen as a moral standard, but when you look deeply into your own feeling, in my case I see we are out of step with nature, indeed we are disconnected from the natural world. We do not grow up with nature, most of us, we have no idea of growing season, the winds, the rain, the soils etc. My friend has Cherokee indian background and she told me she loved the soil, she felt the depth of its richness. Her heritage gave her an awareness of the oneness with the land. Whilst she may not live on the land now, she is aware to some extent. I feel the indigenous were experts and really felt the land intimately as their own body. You get that sense in meditation as you cultivate an ability to be aware of your own inner body you start to see the body of the planet as your body, it is an interesting feeling. Thus responsibility expands from the small self to the greater self of life. This is a hard concept for business people or scientists to grasp as their world is the laboratory, the office, the newspaper and media coverage. They cannot feel the nature around them as they are simply not aware. Does that make them bad people, no, many in my view are ignorant. They simply do not see it. So when the discussion was on genetic engineering of papaya, a highly emotional topic, as it is the main industry in Hawaii and the combating of the ring spot virus, this genetic modification is seen as success. My mind travels the world to a holistic system and I wonder at the reason why the virus turned up, what conditions changed? What are the implications of protecting a mono crop, what of the other species not only on the island but how this change affects greater change. A little like the butterfly effect of flapping its wings in one part, an earthquake happening in another. This theory works on the idea that all is interconnected, not unlike your body. We see what antibiotics are doing, at first a great break through combating disease like it is a war. Then we find more resistant strands emerging and the problem worsens. Even in health care we never look at the emotions, the history etc. In Chinese medicine it can go back generations and is treated with acupuncture or healthy herbs. In modern medicines it is quite brutal in the nuclear medicines used and how the affects of medicines can often be worse than the actual problem. I see genetics in the same light but for me they are more like a nuclear time bomb, that is my gut feeling. We are bound to get short term gains but the longer term I am interested in and the next generation. I found out that this guy had successfully created a genetic modification to get rid of this ring spot virus. They saw a marked improvement in the plants those without the gene and those with it were far stronger and taller. Thus through his determination he was able to save an industry. 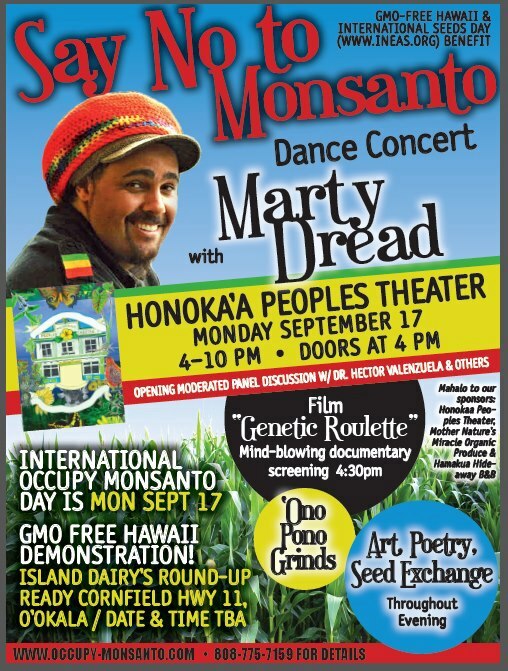 What I found interesting was Monsanto. He mentioned they wanted 10 million for the licence. As a public scientist he was able to win the case and get a licence to propagate this genetic change. What is interesting about GMO’s is that companies when they change the organism they claim intellectual property. Indeed it leads to ethical questions and my mind goes to the human genome, is my genetic material owned by a company? What if that company is pure profit and they withhold genetic changes that benefit people in order to get higher prices. That has been done with food production eg. the price of grain in Britain – I believe the grain was put in silos to ensure the price of grain went up. So commercial interests often are looking to maximise profit which can run counter to the public good. As they own the product the public have no rights to it. So the argument of working in the public good does run shallow for me when the public lose rights over the internal workings of the company, to access research material to assess if the research is bonifide or has been manipulated in favour of the company so they can make millions if not billions. We had a scientist come to Australia who was speaking out about the corruption of these big multinationals, how scientists were purchased and the unethical and intimidating conduct. The issue that really touched me was the terminator seeds. These are seeds that have been genetically manipulated to not re-seed. So they are one offs. What I found interesting today at this meeting was that the lady in this duo made the statement that the terminator seed was not true. I am aware that indeed it is in India and the farmers are forced to buy from Monsanto. It is clearly about built-in obsolescence and profit. Again this is not about balance with nature. The point I made with this GMO couple was that my interest is intent – is it profit or balance with nature? My blog is peace is our true nature, what I am gleaning is that until we find balance within ourselves, a sense of inner security, a sense of trust in the natural order we will continue to attempt to control nature. We see attempts to own nature, to control it, to profit from it, and pollute it without a backward glance. That is a sign of living in a material reality that has no sense of its sacred connection to the natural order. It is only when you step out of your own insecurity and trust life as I am doing, that you realise that life actually supports you. It has its own intelligence, the planet is alive and aware, I definitely concur with the Gaia philosophy. I felt it in a moment on a drive along a road in Canberra, Australia. I suddenly had the feeling of oneness, that time and space was a moment of now. That never left me. I also was invited to commercialise scientific technology as a market analyst by CSIRO – Australian Commonwealth Scientific Industrial Organisation. I had ethical issues about lending my personal energy to genetic engineering as I didn’t want to be responsible for destroying the natural order that had been naturally selected for up to 4 billion years. In fact in the week of my decision, as this was a career breakthrough for me, my partner received a sculpture. This was a metal sculpture – imagine a long triangular base and on it was a series of different sized prongs. Now at the end of each prong was a twist. The prongs represented plants and the twist represented the double helix. What are the chances of my partner getting a metal sculpture of plant life with a double helix? That is the message that life sends me clearly, I am aware of the message and I am under no doubt my answer to the job is – NO. I have $20 in my bank account so I was faced with the fear of not enough and a job opportunity in the same breath. I turned it down as I saw the real gold in my ethics which told me to not interfere in the building blocks of life. I am to stay in a space of peace and harmony within. This I did. My partner was so surprised. This was precisely my modus operandi, I was questioning for truth. I question is it beneficial to all concerned (the planet). There were undercurrents I was informed. Perhaps some thought I was not respectful to this scientist by questioning, even though my question was not aggressive it was genuine. Other perhaps thought I am a guest. Perhaps others believed this type of genetics was innovative and was supporting the local industry and he was a hero. Our paradigms on industry and economic growth are largely unquestioned. Whatever the beliefs I am consciously aware to love people unconditionally and to see them as part of myself but to be myself as well. I notice when people disagree with a position they move away psychologically and emotionally from you. When they agree they are all smiles. Imagine a world where we are all smiles all the time even as you spoke your own truth that differed. That is the beginning of peace in my view. It is also democracy so many say they live. What I love about being a clown is that I have cultivated a love for all not based on their thoughts but the fact they are alive and a fully present being on the planet. I have cultivated a different mindset, yet at the same time I feel out of love we must speak our truth gently but openly. Even though you may speak it differently to my view, I respect that it was your truth, hence the 4 way test. That to me is democracy. That is the greatness in society that I see so clearly. Freedom of thought and exploring possibilities. It is not about them and us. I notice this conditional love with most people. It is our conditioning. I was seeking the truth, which is why I asked the questions. I have my own inner truth and I feel we are to change, not nature. We are to learn our true nature. But what we have to face is our fear of not enough, our fear of poverty and our fear uncertainty. I am facing that in my own life by not having a home or a job (vocation really) and not having physical supports strongly in place, I am like a blade of grass on the wind. Yet I feel I am learning to go with the flow of this wind of change, to learn to not fight, not resist but to be authentic in myself even if it goes against (in people’s minds) the prevailing views. I feel ‘to thine own self be true’ is fundamental to happiness. Perhaps this is the foundation to a evolving humanity. There are some that perceive humans are changing to live in harmony with a re-new-able earth. Later on another fellow came up to me and expressed his concerns about GMO’s, I realised I was not alone in my feeling. Moreover, the speaker thanked me for my question. I made the point to the woman in this team that her comment about side stepping philosophy (words to that effect) giving the impression it gets in the way and is not important. I made my feeling clear that I sense it is important not to side step philosophy in my view. I felt philosophy as so important that we explore it, that those seen as the opponent ‘protestors’ (distinct camps here) are not the enemy but they are teachers. If we all learn to respect and deeply listen (as Australian indigenous taught) we will come together and resolve these issues as it impacts on all of us (think of children here). My feeling is to learn peace through conflict. The reality I saw was that the GMO gene manipulation was out of the bag, meaning it is too late to stop it, in truth it has been released into the natural environment. So we must enter this human world of philosophy and start to approach the harder, deeper questions – What does it mean to us? Are ethics important? How do we safeguard the genetic blueprint of our natural world to ensure systemic balance? What are the implications if these modifications create distortions in the natural flow? What of species/organisms and balance? What do we really know of the interconnectedness of nature? Are we islands of automation? Or is it a self-regulating intelligent system? What are the natural tolerances (or give) in respect of our changes to genetic material? Who are we? Do we have the right to interfere with natural order? and so on. So philosophy is pondering the deeper questions and finding our truth within this duality. To open our minds to other truths, even if different or opposite to what we believe. To ascertain through personal inquiry if we are in alignment with our true nature. To determine our true intentions and to reveal our denials, dishonesty and fears. All becomes fundamental to the reality of human survival, in my view. We are just beginning to know who we are. The world is at a precipice of great change and I do feel whether people agree or not, we will be facing ourselves, issues long suppressed will surface given the natural challenges that are happening through climate change and earth changes. We are intimately part of nature and we cannot survive without it. Yes we can try for other planets, but so far we haven’t found life supporting planets. The real point is to find our inner truth I feel.